Friends of Outstanding Journalism and Media Studies graduate Alexandra Noble describe her as hardworking, stubborn, and motivated, all qualities required of a student who set herself the goal to graduate from SDSU in three years. During her time at SDSU, Noble discovered a work ethic and level of self-discipline that she didn’t know she possessed. She became involved with the Daily Aztec, PSFA Civil Core, and was a co-curator for this year’s TEDxSDSU. 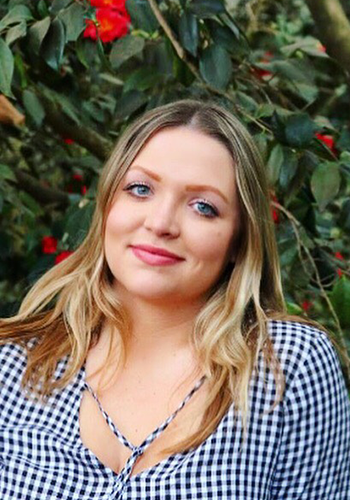 This year, she landed a coveted internship with San Diego CityBeat magazine, allowing her a view into the inner workings of a media organization, “something you can really only learn from firsthand experience,” she said. Her career goals include covering and critiquing film for publications like the Los Angeles Times and the Hollywood Reporter. First stop toward that goal will be the University of Southern California where she has been accepted into the journalism graduate program.